Archive by Category "Brake Repair"
Being able to brake properly is one of the most important aspects of driving, and it is also one of the first things new driving students are taught. The amount of pressure one places on their pedal determines how quickly or how smoothly a vehicle will roll to a stop and new drivers are usually taught this first. If a person does not stop properly, then naturally this will result in a very big disaster. Individuals who are sitting behind the wheel should be well aware of how to control their vehicles fully so that they are able to keep the roads safe. Sometimes though, it is not the driver’s fault. Sometimes a person can know how to stop perfectly but for some reason, their vehicle won’t respond to them in the appropriate manner. If this is the case, then they probably have to go see a specialist to determine what exactly is going on with their vehicle stopping mechanism. Since this part of the automobile is so important, it is crucial that a person does not waste time and that they go and visit immediately. One will be able to tell if there is something wrong with their brakes if they notice a few signs. First of all, if their brakes make strange screeching noises whenever they push down, then that is a red flag right there. There should be no sounds made when a person pushes down on the pedal. Another sign that clearly shows that something is wrong is if a person pushes down on the pedal and their vehicle moves to either the right or the left before stopping. This is very dangerous and should be fixed immediately. In an ordinary vehicle where everything is working smoothly and appropriately, a person only needs to push down lightly to get a response from the automobile. If a person finds that they have to push very hard for the mechanism to activate then they definitely need to go in and get it checked. Another factor to keep an eye out for is vibration. If a person feels any sort of vibration when pushing down on the pedal, then this is a bad sign and it shows one’s car needs to be checked out by a professional. Going to a service center for getting your brakes fixed, tires adjusted, or alignment in Longmont is something very important and should not be overlooked. It is essential that every driver takes as much precaution as they can to ensure their car is in top shape because doing so does not only ensure their own safety, but it also ensures the safety of others on the road. Driving with faulty brakes is dangerous, and it can lead to a fatal accident. Therefore, it is important to check your brakes all the time to make sure that they are working properly. When you bring in your car for maintenance or for auto repair in Longmont, make sure that your brakes aren’t forgotten. They should be checked if they have gone through wear and tear and might need replacing. They should also be checked to see if they need tightening. Your brakes should be checked at least once a year. They should be checked more frequently if you drive a lot. All components of your brake system should be verified to be in the best condition to ensure a safe drive. Your brake fluid should also be checked. The brake fluid requires regular changing as well, similar to an oil change. Doing so helps in preventing any damage to your car. If this isn’t done regularly, there can be a blockage in the brake system, which can cause more problems that are more expensive to fix. To avoid any untoward incidents with your brakes, you should listen to any warning signs. Your brakes might be telling you something you shouldn’t neglect. Here are some warning signs from your brakes. If you experience any of these, it is best to bring your vehicle to a car repair shop. The brakes experience normal wear and tear with regular use. To ensure that they are in top condition, you should always have them checked. If they are already worn out, you should get them replaced immediately to avoid accidents that can be caused by it. Moreover, don’t let the brake pads be thin enough that they hit metal to metal. If this happens then it can be more costly to replace the rotor or the drum. In some cases, when the brake pads are still thick then the brakes might just need tightening. The brakes can be easily checked by your trusted mechanic. They can be checked during regular maintenance check-ups so you don’t need to take additional time off for this. When you bring in your car for maintenance, make sure to have the brakes checked too. Therefore, always listen to your brakes because they might be hinting at something. 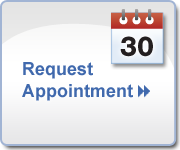 Having an oil change appointment booked in advance can be practical, as this appointment can serve as a checkup when other car issues are brought to light. Should one’s brakes be undergoing some changes, asking one’s mechanic to check up on them during an oil change in Longmont, Co can be beneficial. There might be times when awaiting an upcoming oil change might be too risky, however, which is why taking immediate action is recommended. If a car’s brakes are undergoing any of the 5 following changes, this could be a sign that one needs immediate brake repair. If there is one sign that every driver should look out for, it’s brake whining. When a car’s brakes are in good condition, they aren’t going to emanate any noise. However, when a car’s brakes are nearing their end they might begin to make noises of protest when pressed down upon. Should a driver be experiencing some embarrassing noises when stopping at a stop sign or red light, it is most likely due to their brake pads have worn out. Booking an appointment with a mechanic is in order when such noises become apparent. A good way of knowing whether or not one’s brakes need changing is by simply pressing down on them. Should one’s foot be met with some protest, this can indicate that their brakes are efficient. However, when one’s brakes are too malleable, this can be a sign that one’s brake pads are worn down. The entire reason a car has brakes is so that it can stop where it needs to stop. Driving with proper brakes is a safety precaution every driver should hold dear. One of the first signs that one’s brakes are on the fritz is poor brake performance. If a driver is pressing on the brakes, their car should stop immediately — not pulling to the left or right-hand side. Should this be occurring, it is crucial for one to seek immediate mechanical guidance. Another sign that it’s time to change one’s brakes is when they begin to vibrate. In fact, vibrating brakes are never a good sign and can be the result of a larger problem at hand. Vibrating brakes are sometimes the outcome of a warped rotor or poorly lubricated vehicle. If there is one telltale sign that one’s brakes need changing, it’s the brake light. A car is designed to inform drivers about possible complications, which is why taking a check-engine light or a brake light seriously is in order. Regular brake repair in Longmont, CO is arguably more important than an oil change. Colorado is a mountainous state with a lot of inclined roads. To successfully navigate these roads, a driver will need an excellent braking system. While driving with dirty oil is never recommended in normal circumstances, driving in Colorado does not really constitute normal circumstances. An oil change will not help keep a car parked on an uphill slope or help the driver navigate a busy street on a steep decline. An excellent braking system is needed in these circumstances, and drivers should be sure to have their brakes checked regularly so that they can rely on them in times of need. One of the problems mentioned above is parking on an incline. A fully functional parking brake is required to leave a car in a safely parked position on a hill. Though it is not super common, malfunctions in the parking brake do happen from time to time and car owners should be aware of the signs and symptoms before it happens. The most important sign of wear and tear is when the parking brake will not fully lock into position as high as it used to. The reason why it slowly weakens over time is quite simple: the brake wires get loose with age and use. Each car make has a specification for how high the parking brake should be pulled for it to actually lock. This should be stated in the owner’s manual, and anything less than this height should be taken as cause for alarm. Some ambitious DIY blogs will say it’s possible to repair a parking brake with a few tools and a rudimentary knowledge of cars. This is advisable for those who fancy themselves adept at mechanical work and have a fair amount of experience to back them up. Those who have not worked much with cars are far better off taking it to a mechanic for a proper fix. Some newer models will have an electric parking brake system instead of the manual system described above. Electrical parking brakes work in much the same way, the only difference being that it is automated through an electric motor rather than cable-operated. Most mechanics will have the proper tools to replace or fix electronic parking brakes, so it’s no hassle either way for the car owner. Getting regular check-ups on the parking brake might not be needed. They are pretty sturdy components in the car’s braking system and really only need attention when their malfunction is noticeable to the driver.